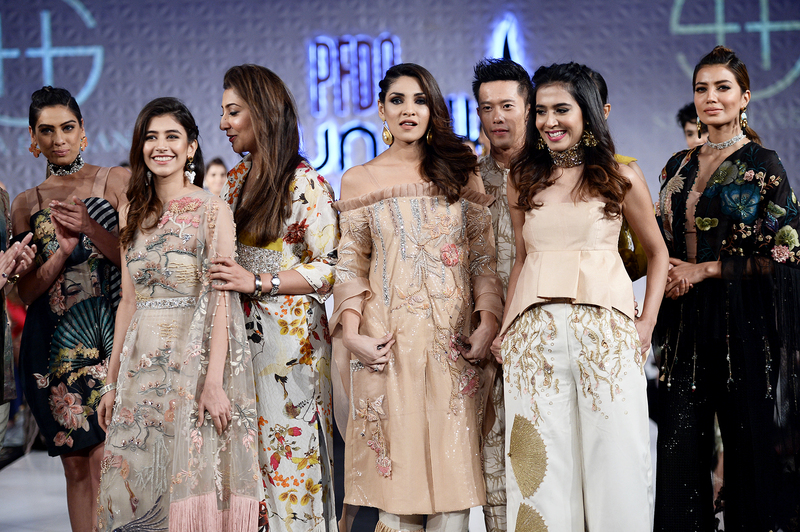 Lahore: The tenth PFDC Sunsilk Fashion Week (PSFW) officially commenced on 13 April marking the eighth consistent year of the prêt a porter platform. PFDC introduced to the fashion industry an evolved show concept and structure with an aim continue to advance the pioneering platform towards an international and global standard and standing. The idea was to give each day a curated experience featuring either a solo designer or grouped designer/high street retail/lawn shows. Each of these shows has been divided between two entirely separate show spaces and two independent ramps within the same venue in their respective time slots [no coinciding or simultaneous shows], a first in Pakistan. This comes as a deliberate move from the Council to grow fashion week into a more exclusive and premium platform allowing fashion houses rather more independent showcases within the fashion week diaspora and to, therefore, show to more selective and dedicated audiences. 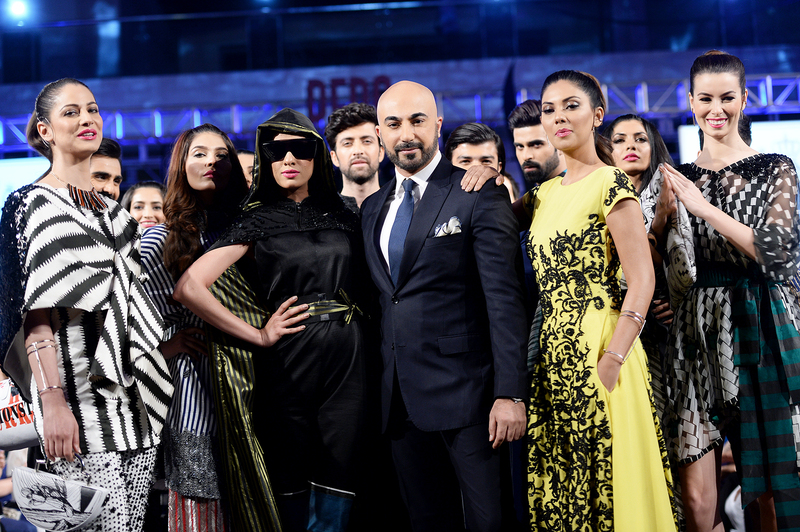 Day-1 of the prét-a-porter shows featured a solo show by HSY in Hall A, a grouped show featuring Misha Lakhani and Saira*Shakira in Hall B, a grouped show featuring the Bank Alfalah Rising Talent Show, a capsule collection by Kokab Alvi, Zonia Anwaar and Generation by Khadija Rahman in Hall A and a solo show featuring Sania Studio by Sania Maskatiya in Hall B.
Day-2 started with an afternoon high-street grouped show featuring Cynosure, Faiza Saqlain and March by Ali Merch in Hall A. This was followed by luxury prét evening showcases featuring a solo show by Tena Durrani in Hall A, a grouped show featuring Shiza Hassan, Saira Rizwan and Amir Adnan in Hall B and a finale grouped show featuring Ethnic by Outfitters, Cross Stitch and Sapphire in Hall A.
Day-3 started with an afternoon voile/lawn grouped show featuring So Kamal, Noor by Saadia Asad and Rang Rasiya in Hall B. This was followed by luxury prét evening showcases featuring a solo show by Sana Safinaz in Hall A, a grouped show featuring Khaadi Khaas and Adnan Pardesy in Hall B, a grouped show featuring Asifa & Nabeel and Republic by Omer Farooq in Hall A and a finale solo show featuring Ali Xeeshan in Hall B. The PFDC continues their partnership with Sunsilk as their title sponsor and Bank Alfalah as official banking sponsor while also introducing Slice as their official beverage partner, TCS as the official logistics partner, Borjan as the official footwear partner, Ink Factory as the official printing partners with Pak Suzuki Motors and British American Tobacco as the associate sponsors. PSFW hired N-Pro/NGENTs as their official hair and makeup stylists, Maheen Kardar Ali for front stage management, Production 021 for backstage management, Kamiar Rokni from The House of Kamiar Rokni as the official spokesperson for the PFDC, Axis Innovations, Eventum, Shadab Sounds and W production for logistics and operations, Mustang Productions as show producers, Red Communications for digital support, Faisal Farooqui and Dragonfly as official photographers, live-stream by AI Solutions, Urdu1 as the official media partners, CityFM89 as the official radio media partners with media management by Lotus Client Management & Public Relations.